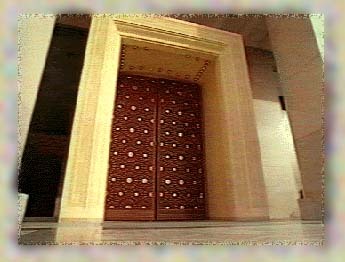 Behind these doors lies a masterpiece of architectural detail and rare craftsmanship. With a click of your mouse, the doors open to reveal a treasure trove of Arab artisan crafts and design. Web Design by MALLEN for Antelope Internet Systems, Inc. Copyright © 1997 Arab Fund for Economic & Social Development.